TC3 is a governmental agency formed in December of 2017 to provide 9-1-1 services to the citizens of Tazewell County, Illinois. It is currently in its formative stage, a result of a change in Illinois law to reduce the number of 9-1-1 Public Safety Answering Points (PSAPs) by 50%. Tazewell County currently has 4 PSAPs located in East Peoria, Morton, Pekin and Washington. Tazewell County’s plan is to use a phased approach resulting in 2 PSAPs, Morton (TC3 North) and Pekin (TC3 South) by July of 2019. Browse the Web site for more information about TC3. We are currently seeking to employ qualified professionals in several different positions. If you have any questions or would like to speak with a TC3 representative regarding our operations please navigate to our contact page. 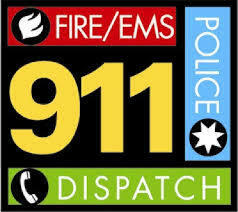 Tazewell County Consolidated Communications will be there when you call 9-1-1.